Zagrebačke ceste - OU Construction Waste Recycling - Until further notice, we can only accept concrete, gravel, asphalt and stone! 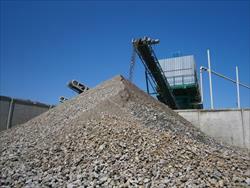 OU Construction Waste Recycling - Until further notice, we can only accept concrete, gravel, asphalt and stone! NOTE: Until further notice, we can only accept concrete, gravel, asphalt and stone. Physical persons are welcome to take other construction waste (plaster, brick, roof tiles, ceramic tiles) to one of the recycling centres operated by the Subsidiary City Waste Disposal, and legal persons are asked to take their waste to authorised recovery centres. 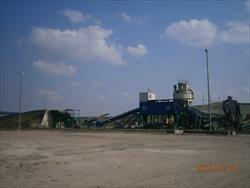 Operating Unit Construction Waste Recycling (CWR) disposes and processes construction waste material. 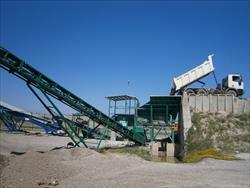 By processing concrete, asphalt and other construction waste material, the CWR obtains a valuable raw material and sub-base material, which is used solely in road construction instead of new stone material from the quarries. 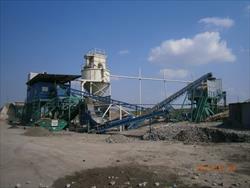 The plant has all the required permits contributing to environmental protection and minimization of the exploitation of natural resources. 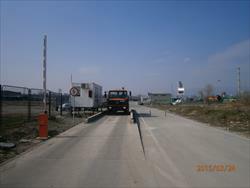 The analyses performed continually by an authorised certification company show the quality of the material to be satisfactory for road construction use. The citizens who would like to dispose of their construction waste with us are asked to fill in the inert waste form and supply accurate and correct information (the Accompanying Form for Non-Hazardous/Inert Waste PL-No/Io is available at Narodne novine stores). We would like to stress that we only accept non-hazardous and non gypsum-based construction waste resulting from the construction of new buildings or reconstruction, removal or maintenance of existing buildings. The citizens are welcome to bring in and dispose of their construction waste free of charge at the address Tišinska street 26 (behind the Car Fair, first street on the right - across the street from the seat of the Subsidiary City Waste Disposal). Open hours are 7:00 am - 3:00 pm (not including weekends and holidays). Call +385 1 6422-192 and +385 1 6422-193 for more information. **NOTE: Please enter the key waste number in the yellow field. If you are unsure about the key waste number for a particular type of waste, consult the enclosed waste catalogue. © 2011 ZGH. All rights reserved.